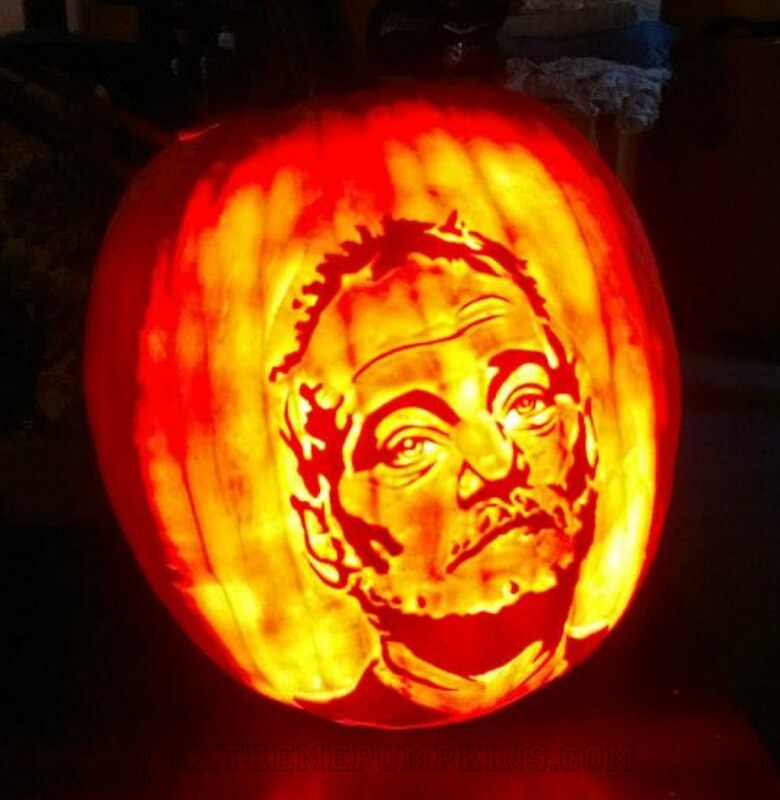 It is a rare thing when I pick a celebrity pumpkin, but it almost as rare when someone decides to carve the image of their favorite celebrity on a gourd. This year I picked three celebrities. The first is Bill Murray because he seems like such a genuinely sunny person. I heard that he likes to approach strangers in a restaurant and take a bite out of their hamburger and then tell them no one will ever believe that it really happened. If I were famous, I would do the same thing.